Game 146: Good Sevy or Bad Sevy? For the ninth time in eleven days this month, Zach Britton did not pitch for the Yankees last night. Britton tossed 1-2-3 innings against the Athletics and Mariners on September 4th and 8th, respectively, and that’s it so far in September. He hasn’t been needed much this month, but when he’s pitched, he’s been effective. Reliever workloads can be fickle. Britton has pitched twice in eleven days this month, but he might be needed five times in the next seven days. That’s just kinda how these things work. 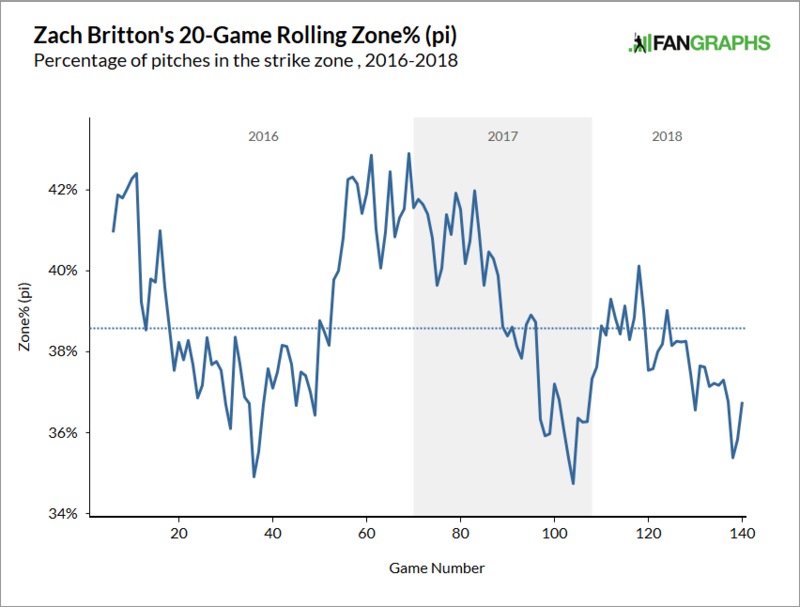 Right now Britton isn’t being used much because the Yankees have gotten some length from their starters recently, and because there haven’t been many small leads to protect. When the Yankees acquired Britton, he’d been back from his Achilles injury about a month, and had thrown 15.2 innings in 39 days. The Orioles had to balance keeping Britton healthy and giving him a chance to shake off the rust with showcasing him for interested trade partners. You don’t want to push a guy too hard too soon after an injury like that. At the same time, interested trade partners needed to see the goods. Since joining the Yankees Britton has made 17 appearances and thrown 17.1 innings in 47 days. It’s 17 appearances in 45 team games, which is a 61-appearance pace across a full 162-game season. That is a little on the low side but not outrageous. However, Britton has pitched only twice this month, and only seven times in the team’s last 22 games. He’s pitched ten times in the last 29 games. That’s not much! “Aaron (Boone) talked to me about getting me out there as much as I can so I can get in a nice rhythm and get back to myself,” said Britton to Dan Martin soon after the trade and, thus far, it hasn’t really happened. Britton has been lightly used the last two or three weeks. He’s pitched well, so that’s good. Britton’s allowed two runs in his last eleven innings while walking only one of 43 batters faced. Hooray for that. That said, Britton still doesn’t seem to be back to where he was last year or two years ago. His 80.8% ground ball rate with the Yankees is outrageously good, but he’s only struck out 17.6% of batters faced, and he’s still falling behind in the count a little too often. Yeah, Britton’s only walked one of the last 43 batters he faced. That doesn’t mean he’s been pounding the zone. There are only 17 regular season games remaining and I’d like to see Britton out there as much as possible, even if it means pitching him in situations he wouldn’t normally pitch. The Yankees have an off-day tomorrow and an off-day Monday. Use Britton tonight, use him twice against the Blue Jays this weekend, then take it from there. Can he pitch eight times in those final 17 games? Seems doable. I get it, it can be difficult to balance too much work with too little work, and with a late-inning guy like Britton, you’d hate to have him not be available for a high-leverage spot one night because he pitched in a low-leverage spot to get work in the night before. The Yankees still have Dellin Betances, David Robertson, Chad Green, and Jonathan Holder for the late innings though. It’s not like Britton is their main guy out there. The goal here is, obviously, to get Britton as much work as possible so he settles into a groove before the postseason. Aroldis Chapman is on the disabled list with a knee injury, and while he recently started throwing, we still don’t know when he’s coming back. We don’t know when he’s coming back and how effective he’ll be when he does come back. That makes Britton and the rest of the bullpen that much more important. After a few early hiccups, Britton has pitched quite well for the Yankees lately, but there’s still another gear in there. We’ve seen it. When he first came over, the plan was to get him a lot of work so he could find a rhythm, and it hasn’t really happened yet. 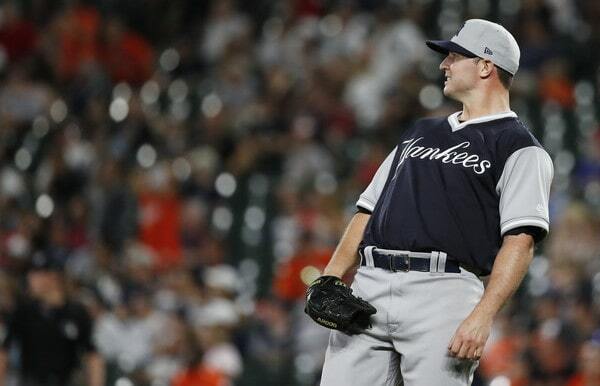 The Yankees don’t want to overwork Britton but they also don’t want him to stagnate either. Two appearances in September isn’t enough. Britton needs the ball more often the rest of the way.